Join the tens of thousands of successful professionals in the US, Canada, and 60 countries worldwide who use UDA software to better manage construction. From automatic downloads to multiple shipping options, UDA Technologies makes it easy for you to receive ConstructionSuite software. Learn more online or contact a UDA Representative today to get started with the most widely-used project management system for small to medium construction firms. UDA uses Secure Servers for Online Orders and Credit Card transactions protected by VeriSign's NetSure Protection Plan using Secure Socket Layer (SSL) technology, the strongest security available today. NetSure provides up to $100,000 of protection against economic loss due to theft, impersonation, or corruption. For specific shipping costs and delivery options consult UDA Shipping Prices. Most Orders placed by 4:00 pm ET will be processed, inspected, and shipped the same day. UDA offers the option to download ConstructionSuite software on most online orders. After entering your credit card information, you will receive the option to download the software. Whether you choose to download the software or not, we will still ship the product (with the exception of individual contract bundles and contract templates) on CD. Most Orders are shipped via UPS. For specific shipping costs and delivery options consult Shipping Prices below. In most cases, orders placed by 4:00 pm Eastern Time, Monday - Friday, will be processed, inspected, and shipped the same day. Most orders placed by 4:00 pm ET, M-F, will be processed, inspected, and shipped the same day. 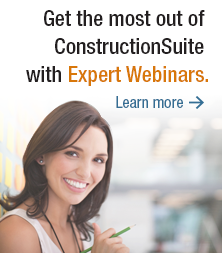 ConstructionSuite Licenses purchased in-full come with a 10-Day Satisfaction Guarantee*. Shipping charges are not refundable. *10-Day Satisfaction Guarantee starts on the date of purchase and only applies to an initial order. Refunds are not available for upgrades, Add-ons, Leases, or Payment Plans. If you or your organization have previously returned a UDA product for credit, any future orders are non-refundable. Returned Products must be 100 percent complete, in original and resalable condition, with all packaging, documentation, registration cards and software. Refunds or Credits are not available for ConstructionSuite Lease Payments. UDA Individual Contracts and Forms and UDA Contract Templates are not refundable. In the unlikely event you receive a shipment with incorrect merchandise, please contact a UDA Customer Service Representative, and we will promptly see that the items are retrieved and reshipped at no cost to you. Prior to shipping your return, call UDA Customer Service for a Return Authorization Code(s). Return Authorization Code(s) must be clearly marked on the return label and outside of the box. Packages without Return Authorization Code(s) on the outside will be refused. If an order is returned to UDA by the shipping company, either because no one was available to accept delivery, or any other reason, please be aware that we will be unable to credit shipping charges. 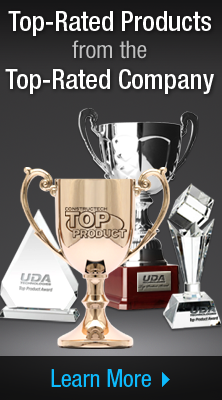 Most UDA Products are available for next day Delivery if the order is placed by 4:00 pm ET. In the unlikely event that an item you wish to order is out of stock or temporarily unavailable, we will notify you in writing, phone, or e-mail. Unless you tell us otherwise, we will ship your ordered item as soon as possible. If we will not be able to ship an item within 10 days from receipt of your paid order, you may request a refund (except Special Order or Custom Services). Your order is subject to cancellation by UDA, at UDA's sole discretion. All information is provided "as is" without expressed or implied warranty, including, but not limited to, the implied warranties of merchantability, fitness for a particular purpose, or non-infringement. UDA assumes no responsibility for errors or omissions in these pages or other documents which are referenced by or linked to these web pages. References to corporations, services and products, are provided "as is" without warranty of any kind, either expressed or implied. In no event shall UDA be liable for any special, incidental, indirect or consequential damages of any kind, or any damages whatsoever, including, without limitation, those resulting from loss of use, data, or profits, whether or not advised of the possibilities of damage, and on any theory of liability arising out of or in connection with the use or performance of the information. These products, services and documents could include technical or other inaccuracies or typographical errors. UDA assumes no liability for errors or omissions in these documents and reserves the right to make changes or improvements at any time. All UDA Technologies, Inc. products and services are protected by United States Copyright Law and International Treaty Provisions. You may not modify, duplicate in any form, rent, lease, loan, distribute, or create derivative works based on information provided in whole or in part. Any reproductions or modifications by means now known or hereafter invented, without the express written consent of UDA Technologies, Inc. is strictly prohibited and will be prosecuted to the fullest extent of the law. On call Monday through Friday to serve your needs, the UDA Customer Assistance Center (1-800-700-8321) can help answer questions about ConstructionSuite and other products or services from UDA Technologies.